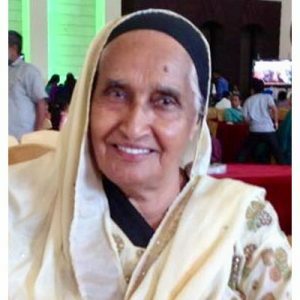 Resham Kaur Boparai was born on January 23, 1935 and passed away on August 21, 2018 at the age of 83. She is survived by her children, grandchildren, great grandchildren and her loving family. The Funeral Service will be held on Sunday, August 26, 2018 at 1:00 p.m. at Springfield Funeral Home, 2020 Springfield Road, Kelowna, BC. Sunday, August 26, 2018 at 1:00 p.m. The service for BOPARAI, Resham Kaur is scheduled for Sunday, August 26, 2018 at 1:00 p.m.. Below you will find the map for the service location and the contact information should you have any questions.